As our reach continues to grow in the cannabis vape market, so does our access to new brands that have yet to hit the mainstream vape scene. We were fortunate enough to meet the folks over at Green Pen, an impressive newcomer to the cannabis vape market. 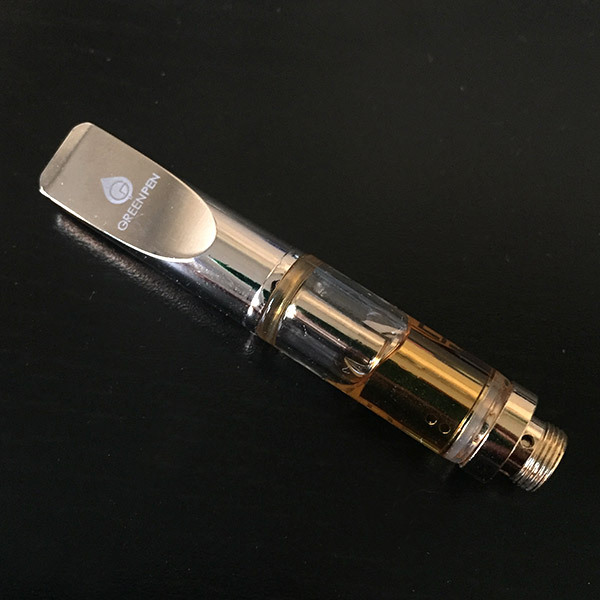 Green Pen produces some tasty, crystal clear oils that are up to par with some of the biggest name brands out there. Green Pen is doing things right from the get go and shows lots of promise. 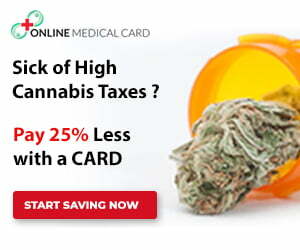 It’s rare to see such high quality cannabis oils produced by such a young company. 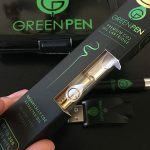 Green Pen acquired their own extraction equipment and quickly found a winning formula with high THC % without losing consistency in taste and vape quality. 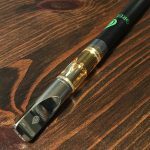 Each Green Pen vape is beautifully crafted using a durable glass tank, topped with a metal tip mouthpiece. All official Green Pen cartridges are engraved with the Green Pen logo. The gold tinted, metal mouthpiece is oh so classy… and these vapes taste as good as they look! All cartridges are compatible with a universal 510 threaded vape battery. Each tank is pre-filled with 500 mg of pure cannabis oil. 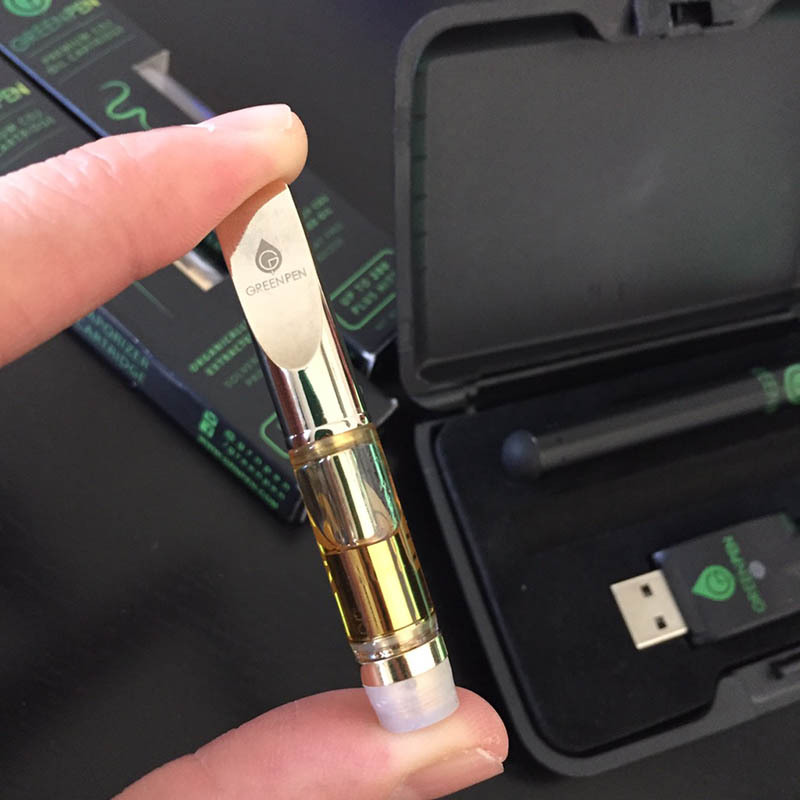 Green Pen also offers larger 1000 mg cartridges. 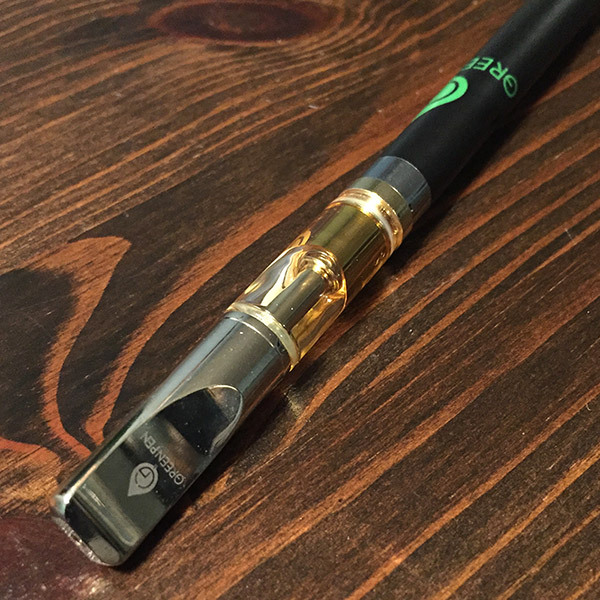 All Green Pen vape cartridges are lab tested at over 74%+ THC. The oil is produced using an organic and solventless, supercritical CO2 extraction process. 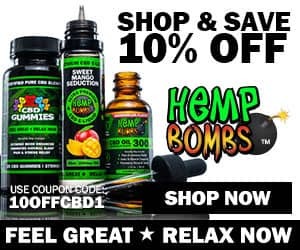 Green Pen has a roster of amazing strains, some highly known in the medical cannabis space for their medical qualities in treating certain conditions. We were fortunate enough to received some OG Kush and Bubble Gum Green Pen vapes. At first glance, these vapes speak high end, reminding us very much so of top name brands like W Vape and Spliffin cartridges. The Green Pen cartridges don’t produce huge clouds, but they certainly hit buttery smooth with delightful, yet subtle flavors. The vapor produced by these carts is very light and clean tasting with hints of floral notes. Green Pen oil is quite a sleeper as the oil is vaped so smoothly against the throat and lungs, it’s easy to inhale more vapor than you might expect! The crystal clear cannabis oils are drastically different from the raw and uncut style oils like the Sublime Raw cartridges. The raw lines tend to be a bit more harsh, trading smoothness for a more natural, terpene rich cannabis flavor. The raw oils also tend to run in dark, chocolate hues and produce denser clouds, while the clear oils have a gorgeous honey-like hue and make for lighter, smoother hits.